Graham Crumb—Own work, CC BY-SA 3.0, https://commons.wikimedia.org/wiki/File:Vila-welkam-lo-vanuatu-1.jpg. This article is part of a series on Creole languages. For part two, click here. The general consensus is that Creole languages came from situations of linguistic deficit and therefore developed in an entirely different way from other languages, via unique cognitive processes. However, assuming that Creoles resulted from a total break in transmission of natural language leads to the conclusion that Creoles are not categorically related to the languages that contributed to their development. That is to say that Atlantic Creoles, for example, are not Romance languages or Niger-Congo languages, nor do they occupy any branch of the linguistic family tree. With creoles existing somehow outside of the family tree of human languages, are they to be thought of as other than “normal” human language? Given the socio-historical context out of which Creoles were born, this is a line of thinking that should come under scrutiny. A closer look at the history and development of Creoles reveals that they shared many of the same processes of language change and development as non-Creole languages. In fact, many non-Creole languages could even be considered, according to present criteria, Creoles themselves, in effect nullifying the validity of the term as a phylogenetic category. Returning to the work of Michel DeGraff and Salikoko Mufwene, we will see how “normal” processes of language change in fact apply to the emergence of Creoles and re-examine the genealogical position of Creoles among the world’s languages. Let’s begin with the fallacy of Creoles necessarily passing through a pidgin stage in the course of their development. The fact that pidgins are not complete languages entails a break in transmission of natural language. Children were raised with their community language being merely a rudimentary code to deal with present, pragmatic situations. According to the popular Language Bioprogram Theory, these children access an innate framework of universal grammar, rather than other languages in their environment, to complete the pidgin and develop it to the status of a full-fledged language. Haitian Creole is one of the few Caribbean creoles to be made nationally official in its own country. This conflicts with concurrent theories about the different components of Creole languages. Atlantic Creoles are also commonly believed to contain heavy, syntactic substrate influence from any number of West-African languages. However, if Creoles developed out of pidgins, with a break in transmission of complete language, it would stand to reason that they would not retain any structural characteristics of the native African languages of those first pidgin speakers (DeGraff 2005). Pidgins would not have been sophisticated enough to carry over the subtleties of natural language syntax or morphology. However, evidence of both exist in Caribbean Creoles, which tend to share Volta-Niger characteristics of minimal inflection, for example. This means that these languages use unbound morphemes (i.e. separate words) for grammatical functions, as opposed to Romance languages which tend more towards inflection (e.g. grammatical suffixes). Where Romance languages will conjugate a verb, Atlantic Creole and Volta-Niger languages will tend to use unbound grammatical particles before the infinitive. Another characteristic often used to identify Creoles is the process of relexification. This involves vocabulary items of one language or language group being superimposed onto the structure of another language or language group. In the case of Atlantic Creoles, European vocabulary (generally from French, English, Spanish, or Portuguese) was superimposed onto the syntactic structure of West-African languages (such as languages of the Kwa and Benue-Congo groups). This is seen primarily as a characteristic of Creole languages, however it can be found in many other languages which have never been considered Creoles. English, for example is a Germanic language, despite the fact that approximately 60% of its vocabulary is Romance in origin, via Norman, French, and Latin. During the two centuries after the Norman conquest of England in 1066, roughly 10,000 words of Romance French/Norman origin had entered the English language. Later on during the 150 or so years of the English Renaissance, another 10,000 or more words of Romance origin made their way into the Germanic language. Many will say that the difference is that Creoles developed more rapidly. However, these massive instances of relexification in English each happened over the course of no more than 200 years, which is less time than Atlantic Creoles have taken to develop into their current state. In the absence of documented examples of the Creole speech of early slaves, one cannot assume that modern day Creoles reflect the state of early Creoles and that Creole languages “creolize” instantly. ער האט געגנבעט א ספר / Er hot ge-ganv-et a sefer. He stole a holy book. / He has stolen a holy book. Finally, when we examine how language change occurs on the ground level, it starts to become clear that expected language change can actually explain the development of Creoles. We will begin with Mufwene and DeGraff breaking down the false belief that “language is transmitted in toto, rather than piecemeal and reconstructed by every individual speaker.” (Mufwene, 2001) It is the particular speech patterns of every individual speaker of a language that contribute to gradual change, and no language is transmitted to a new generation or a new population without expected changes and developments. Though Yiddish isn’t generally considered a creole language, it emerged much the same way that creoles do: as a convergence of two or more languages, in this case, Hebrew, German, and several Slavic languages. DeGraff elaborates on this using E-languages (External languages) and I-languages (Internal/Individual languages) (Chomsky, 1986). I-languages are idiolects, the speech habits and idiosyncrasies of a particular individual, whereas E-languages represent the speech of an entire community. That is, everyone’s unique and varied ways of speaking (I-languages) reconcile and find common ground as an E-language shared by all. I-languages naturally have more variation and innovation, while E-languages reflect some level of standardization and commonly accepted norms. In this view, language change happens from the ground up. Some linguistic innovations of individual speakers will gain popularity and begin to influence the idiolects of others. Over time, innovations and trends that gain enough momentum and currency among the community will become a part of the E-language (DeGraff, 2009). In the case of Atlantic Creoles, there would have been a wide variety in the I-creoles of early slaves. Depending on the individual’s job on a plantation, their access to European, African, or Indigenous Caribbean languages, or their position in their own community, Creole idiolects would most likely have varied drastically. Over time individuals accommodate each other in the interest of communication, and eventually the speech will gel into an E-Creole, ever-evolving but nonetheless a stable community language. Mufwene states, “language transmission is more horizontal than vertical.” (Mufwene, 2001) This also applies to language change, in general. In a world of stable E-languages, language development and change is sparked by the idiosyncrasies of individuals’ speech habits. According to Mufwene, “Contact at the inter-idiolectal level is a critical factor in almost any case of language evolution.” (Mufwene, 2001) Essentially, language morphs because individuals influence each other’s speech, and these influences create the tides of language change on a community level. The development of Creoles may not have been so unique after all. Given human beings’ propensity for speech, a total break in language transmission seems highly unlikely. An individual’s I-language would have been created out of whatever primary linguistic data they had in their environment, and contact between I-languages would have eventually led to broader E-languages. This was not something that happened instantly, but rather over generations and in many geographic locations, in the end resulting in the stable Creole languages that we know today. What could this mean for the categorization of Creole languages? Is Haitian Creole a Romance language? Could Jamaican Patois actually be a Germanic language? 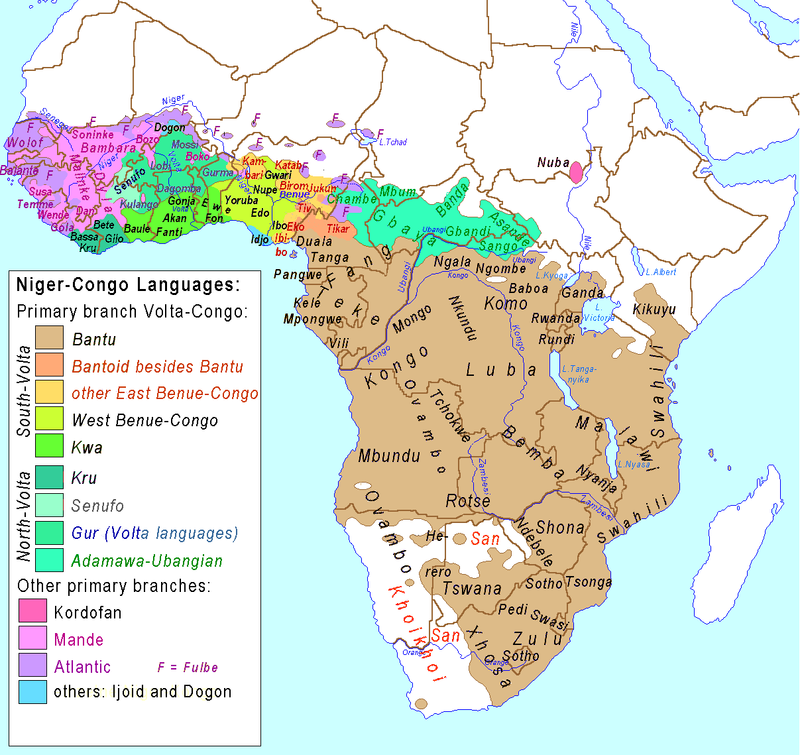 Or are they Niger-Congo languages, completely relexified? How to categorize Creoles is another topic altogether, but the most important step is recognizing that they are not lower on the rung of linguistic evolution or genetic orphans unrelated to the languages that influenced them. Perhaps there are additional subdivisions on the Romance or Volta branches of the language tree. Furthermore, there are many other Creoles in the world, which evolved completely independently of the Atlantic Creoles. How do they fit in? 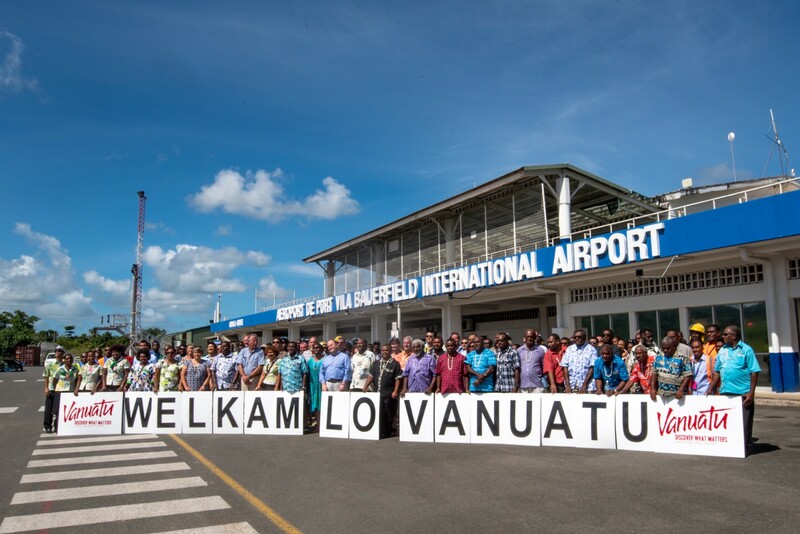 The relationship between Tok Pisin and English or Papuan languages may well provide further insight into patterns of language change in certain socio-historical situations. For now, it seems that the term Creole can be based on little else than just that — the social and historical circumstances that brought about contact between peoples and resulted in new language innovations. In the next installment, we take a closer look at Papiamentu, the Portuguese-based Creole language of Aruba, Bonaire, and Curaçao.